Joe Will Be At NamesCon GLOBAL 2018 in January! Monday January 29 until Thursday February 1, 2018 while we are attending the NamesCon GLOBAL 2018 Las Vegas, USA. 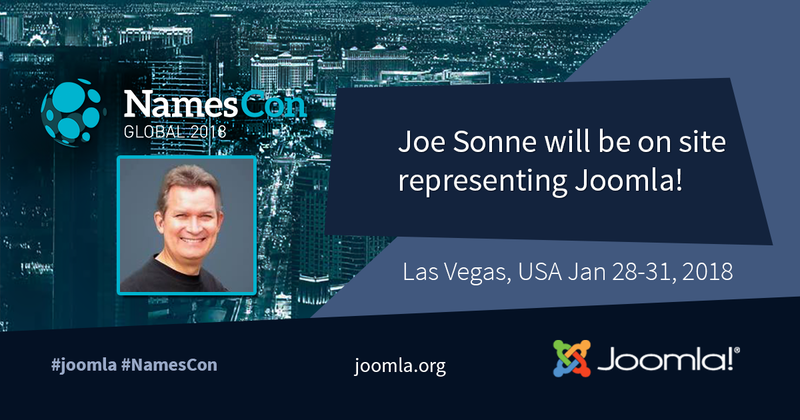 If you would like to be a sponsor or advertise on the Joomla.org website properties, get a hold of Joe live or by email to hear about exciting opportunities available for sponsorship.